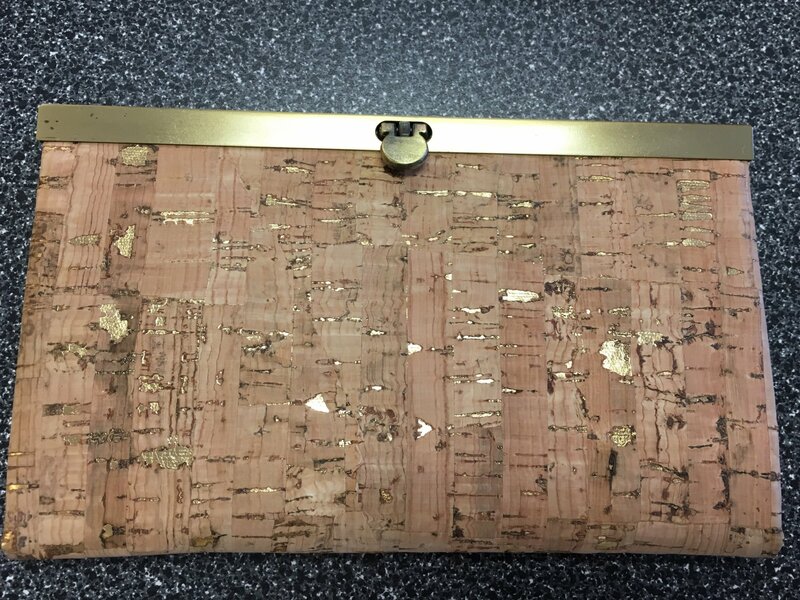 Learn how to make this trendy wallet using cork or fabric which is all the rage now. There is plenty of storage space with 14 card pockets, 3 slip pockets and one zipper pocket. The finishing touch is a nifty metal frame closure. It can also be used as a little clutch. ** This class meets once a week for two weeks.